Rear End Accidents That Happened In Chino Hills Ca. Many people believe that the person in the back is responsible for these accidents because of something known as the “Assured Clear Distance Ahead” rule. In these cases, a driver must maintain a clear distance between his vehicle and everything in front, including other vehicles. If you are following another vehicle on the highway and they suddenly stop in front of you, and you hit them, you are in violation of the ACDA rule. You must always be prepared for anything to happen. This rule requires you to have plenty of time to stop in case of an emergency, which could happen at anytime on the road. When you think about injuries stemming from a rear-end accident, auto accident, you may not think that they would be anything spectacular. However, this is far from the truth and in some cases, they can be extremely serious injuries. These accidents may end up being much more than a “fender bender,” especially when one vehicle is traveling at high speeds. If you have been injured in one of these accidents, you may have experienced fractured facial bones, a broken jawbone, traumatic brain injury, damage to your teeth, whiplash, crushed limbs, broken bones, deep bruising, spinal cord injuries, and so much more. Many of these very serious injuries can cause an incline in medical bills as well as time away from work, which is where they become vital for you to be able to claim compensation at a time when you need it most. After you have been injured in a rear-end collision, you should take a variety of different steps to ensure the best outcome for your future case. The best thing that you can do right off the bat is to call the police so that you can get started on your police report that you can use later when proving your case in court. There are some other means of information that you want to collect as well, such as the names and phone numbers of all witnesses on the scene, and the insurance information of the other drivers involved. 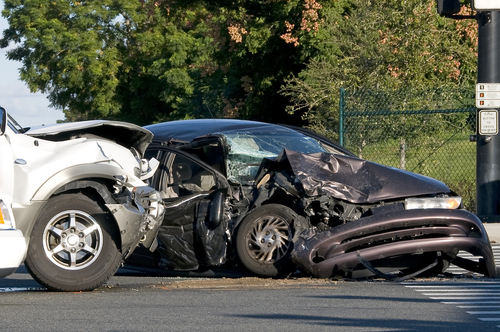 You may want to also take photographs of your vehicle and injuries as well as the scene and how it occurred. Tailgating: Many traffic codes require a driver to stay a prudent distance behind the vehicle in front of them. If tailgating occurs, the driver in back cannot stop quickly enough due to a sudden stop and a serious accident can occur. Driver Inattention: Distractions can occur from cell phone use, eating, applying makeup, listening to music, and talking to passengers or children. Anything that takes attention away from the road can end in a rear-end accident. Driver Intoxication: A driver’s reflexes are impaired when they are intoxicated. This means that the driver will not be able to judge distances, will divert their eyes, and possibly even fall asleep. Weather Conditions: A driver’s ability to see properly can be affected by rain, snow, slush, high winds, and more.